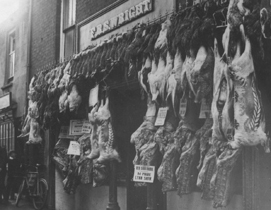 We are an established family business with a reputation which has built steadily since my great grandfather founded Arthur Howell Butcher and Game dealer in Binham in 1889. 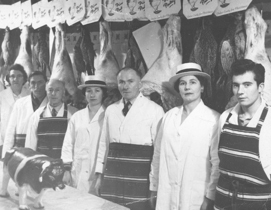 Every one of us a butcher, the original Arthur was followed by my grandfather John Howell, my father and then myself. We are both named Arthur Howell. We now have butcher’s shops in Burnham Market and Wells next the Sea, selling traditionally hung meats. We also have a smoke house at Binham. We take great pride in the quality of the meat we butcher, which will always be the basis for our business. We only use farms that look after their animals and have the same attitude to standards and service as ourselves. In our opinion North Norfolk’s beef, pork and lamb are some of the best in the land. The rolling mists from the sea give nutrients to the land which give our meat wonderful flavours. 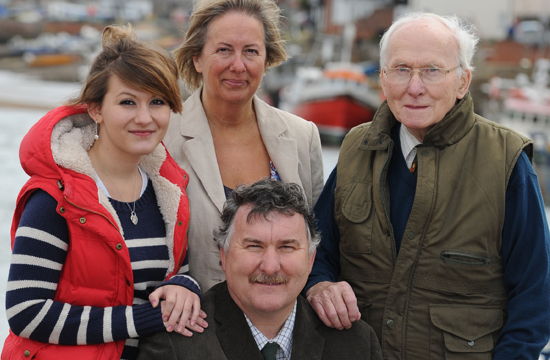 Alexandra is our 5th generation in the business. She has worked with her father since leaving school at 16, spending 2 years learning the butchery trade before taking on the bakery in November 2008. Since then she has proven her role in the business and continues to stride forward. In the last five years we have diversified our original butcher business. One of our butcher’s shops in Wells next the sea has become a delicatessen and the Wells next the sea bakery is now under our roof, as is a popular hog roast business and a gun shop.